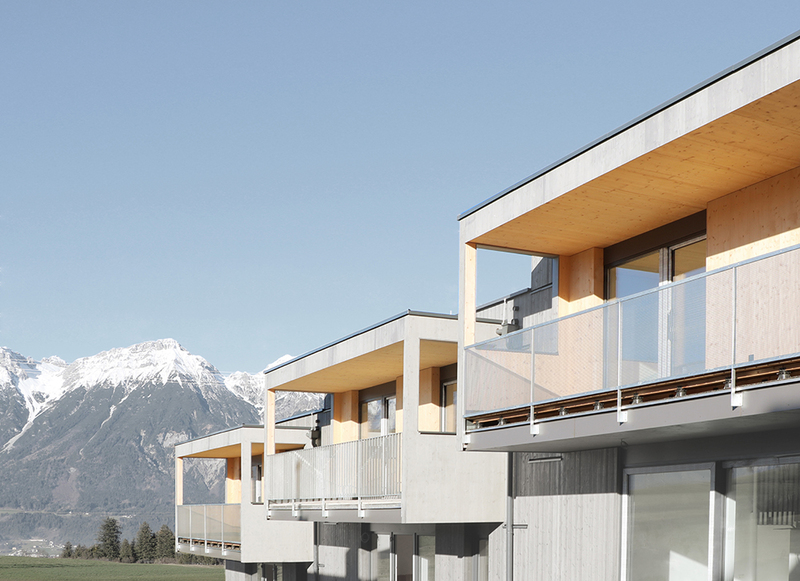 client: wohnungseigentum – tiroler gemeinnützige wohnbaugesellschaft m.b.H. 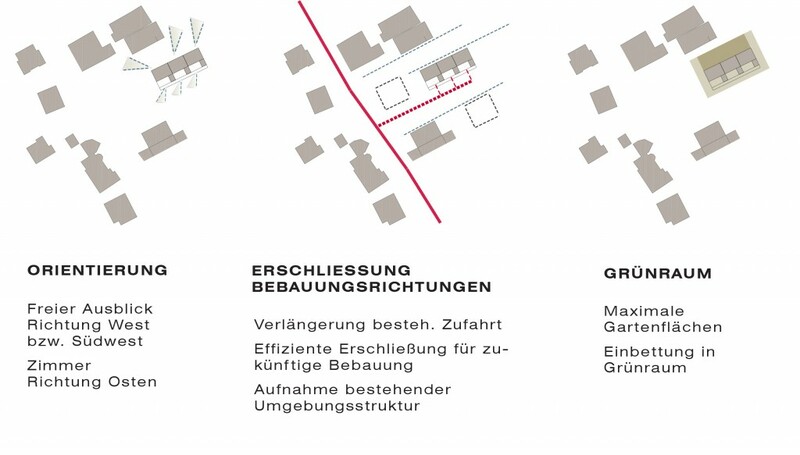 mahore architekten and wohnungseigentum realized 7 row houses in Sistrans. 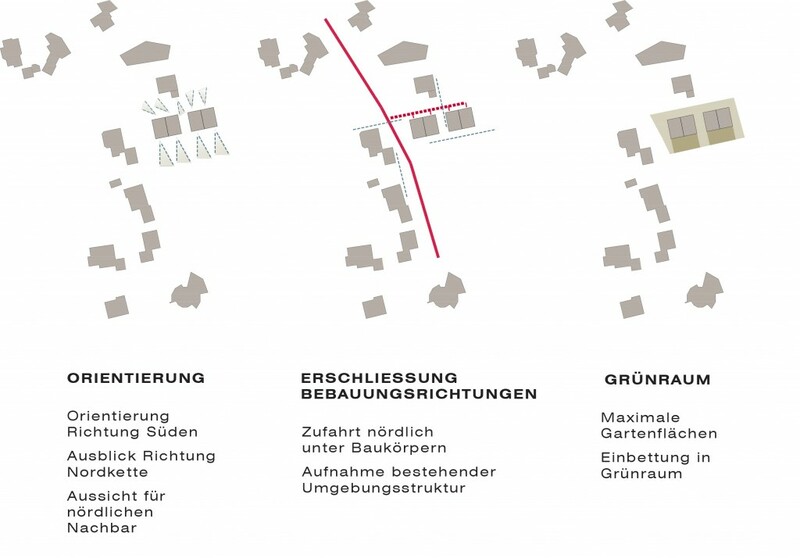 The project is separated on 2 sites at Rinnerstrasse and Perlachweg containing 3 and 4 units respectively. 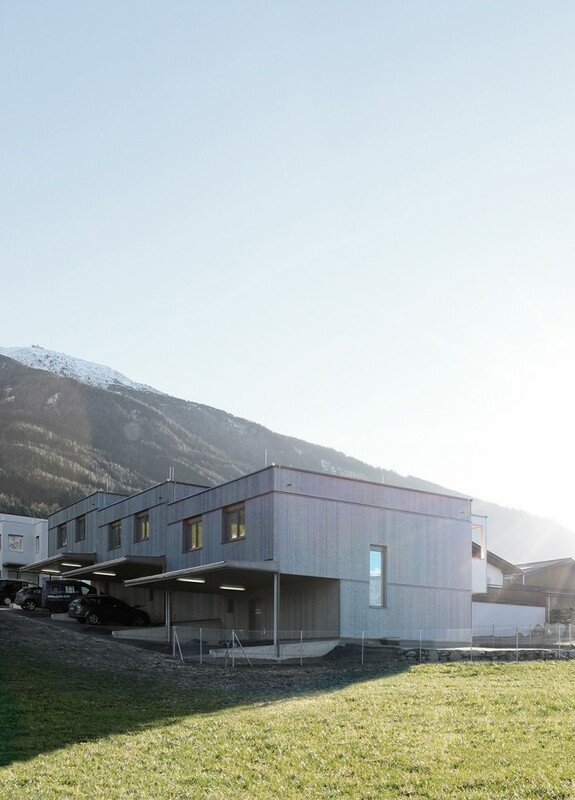 Orientation, uninterrupted views, integration with the surroundings of the village and maximum green areas were the main parameters for an efficient use of the estate. The apartment sizes unconsidered garden and terraces are approximately 123m2. 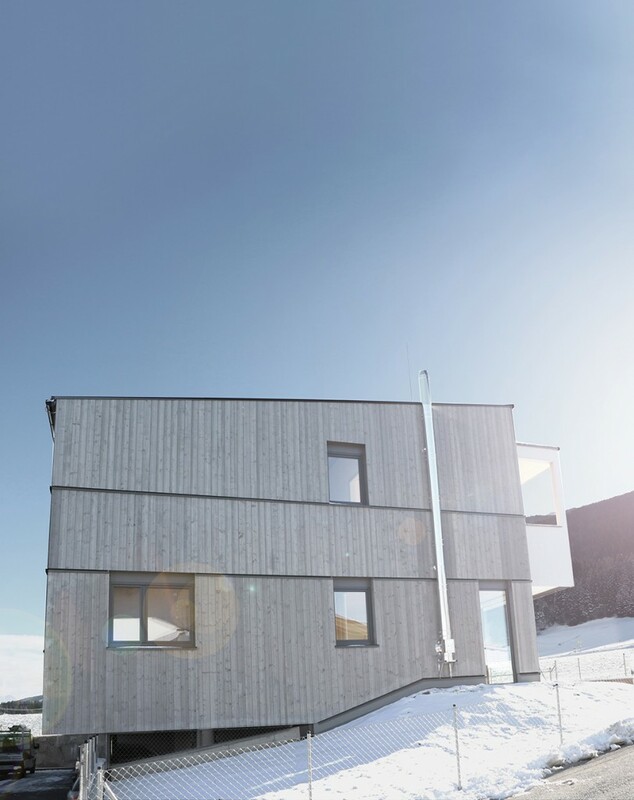 The construction period was held very tight due to the wooden construction which is highly prefabricated and has a very high quality standard. 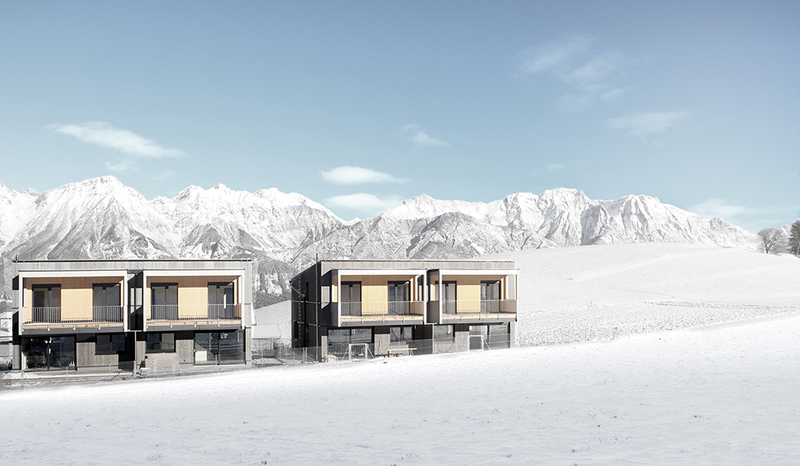 After only 8 months, the houses where delivered to the families. 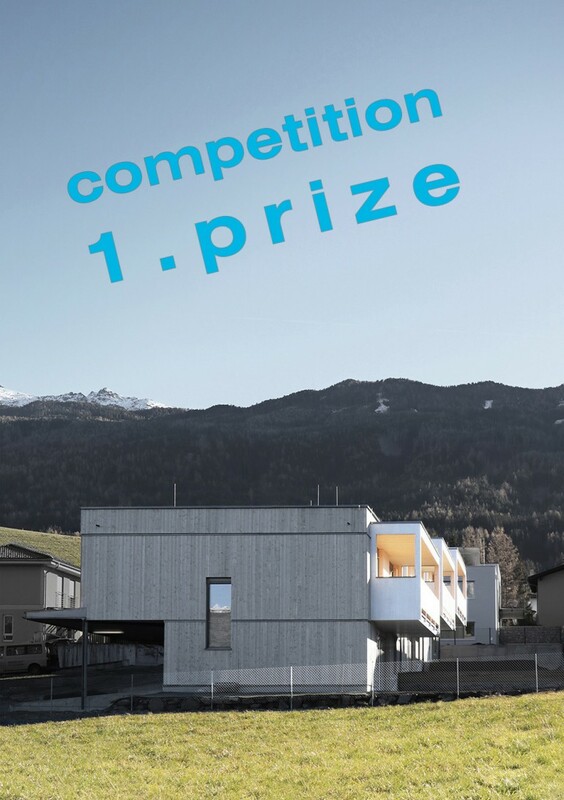 The purchase price was held low in order to receive the development program offered by the state of Tirol. The special wood glaze and the natural character of the wooden façade generate a very harmonic appearance in connection with the surrounding nature. The units are developed by the lowered access ramp, starting from Perlachweg in west-east-direction. 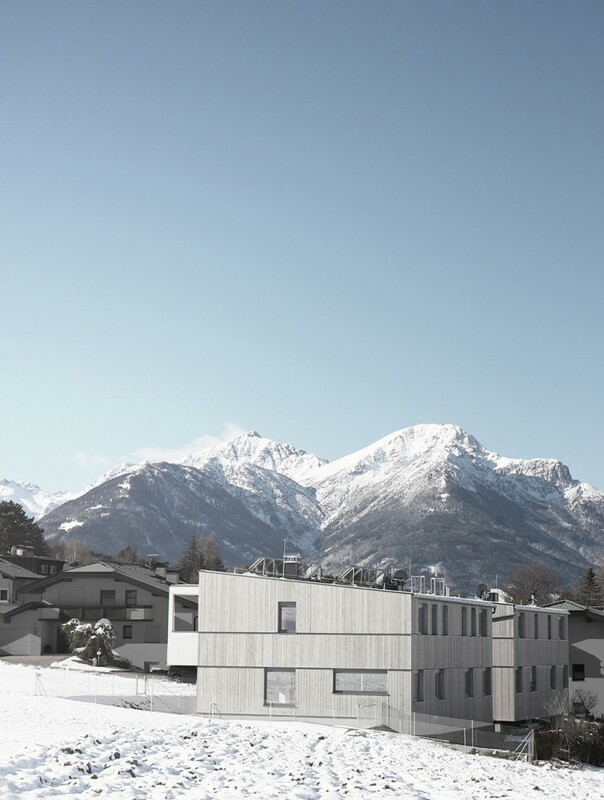 Due to the sloping natural terrain, it is possible to have the carports, entrance and side rooms in the basement. Thereby, an optimal utilization of the available living area is ensured. 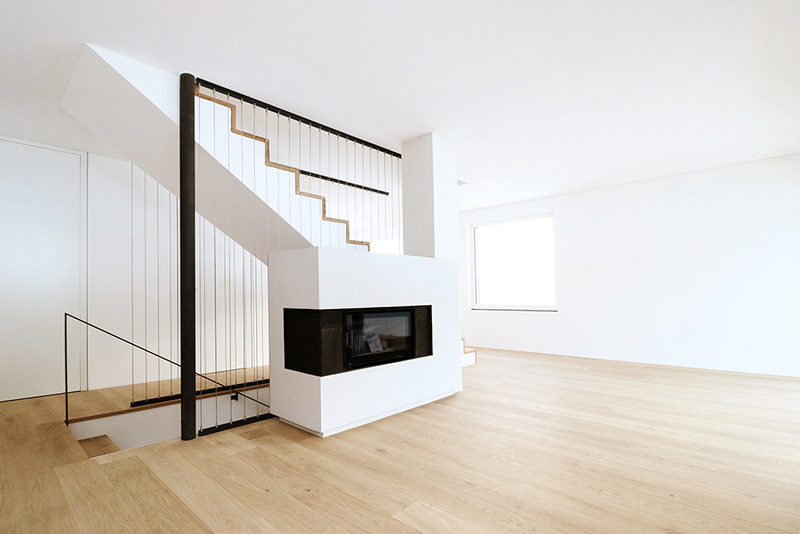 The central staircase separates the sleeping rooms in the upper floor and simultaneously divides the open living space in the main floor. The southbound garden ensures a beautiful view of the Patscherkofel further south of the site. The three stepped houses are situated alongside the access road in the east of the site. The living area including the kitchen and the recreation room in the upper floor are placed in the west, facing the garden and the unspoiled view westbound. 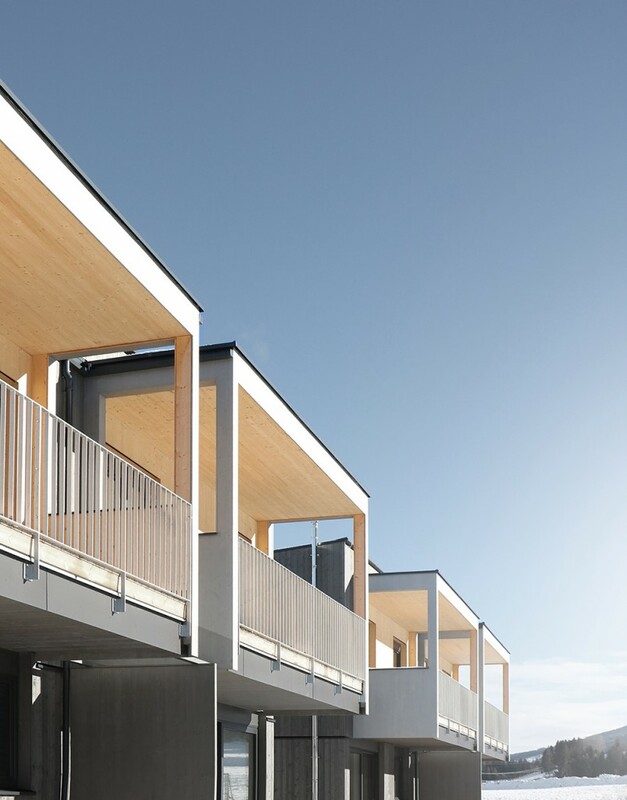 The carports and entry to each unit are roofed by the overhanging upper floors. The flexible ground floor system makes it possible for customers to bring in their own needs and thus create an individual solution for the room arrangement.